Perfectly integrated media equipment and sound at the kING in Ingelheim to accommodate a diverse range of events at an international level. However with avant-garde media equipment and electronically variable acoustic installations in its Great Hall, with a hydraulically operated stage and movable parquet flooring, the kING convention hall is dramatically different from other conventional multi-purpose venues. The kING accommodates a broad spectrum of events. Sound in the Great Hall at kING is delivered by Meyer Sound MINA line arrays, each with nine units per side, and four Meyer Sound 900-LFC subwoofers. Six UP-4XP speakers deliver the front fill sound, while two UPQ-2P and a UPA-1P speaker form the center system. Additional supporting systems are also used as near and balcony fills. Impressive acoustics were achieved using the Meyer Sound Constellation Acoustic System. A total of 32 microphones arranged above the stage and around the hall record audio events in the room and channel them to digital signal processors. This allows the acoustic field to be calculated in terms of early reflections and reverberation, and then reproduced by around 180 Meyer Sound speakers. It involved installing 24 Stella-4C installation speakers, 76 MM-4XP self-powered miniature wide-range speakers, 36 UPM-1XP ultra-compact wide coverage speakers and 21 UP-4XP ultra-compact speakers. ASC installed the speakers invisibly in the walls behind an acoustically transparent fabric cladding. There are other speakers in the ceiling of the hall as well. Another 24 Meyer Sound MM-10XP miniature subwoofers were used to reproduce the low-frequency energy from bass instruments within the simulated spatial sound. The system’s complex signal processing facilitates detailed interventions in the structure and acoustic color of early reflections and reverberation as well as highly targeted adjustments for different areas of the hall. For instance, a highly transparent acoustic scenario can be created for the musicians on the stage, conducive to hearing each other, while a slightly higher level of reverberation creates an impressive spatial sound for the audience. 3D surround effects are also possible which fill the entire space acoustically and provide the audience with a unique experience. The futuristic design of the building with its silvery outer shell made of anodized aluminium sheet and its 300 windows was created by Lieb+Lieb architects BDA, while Schwinde architectural office was responsible for its construction. What the Graner+Partner engineers achieved especially well in this project was to plan the very closely interacting areas of media and sound equipment, and spatial acoustics, integratively and with perfect balance. The natural structural acoustics of the hall also had to be of extremely high quality to provide a foundation for the electronically produced acoustics to achieve an outstanding overall result. Secondly, one of this project’s special challenges for the technical planners was, during the final calibrations with ASC and the Meyer Sound Team, and during numerous rehearsals, to build a bridge between musicians and technicians. This meant complying with conductors’ particular wishes, implementing them technically and dispelling any musicians’ reservations about ‘non-natural’ acoustics. 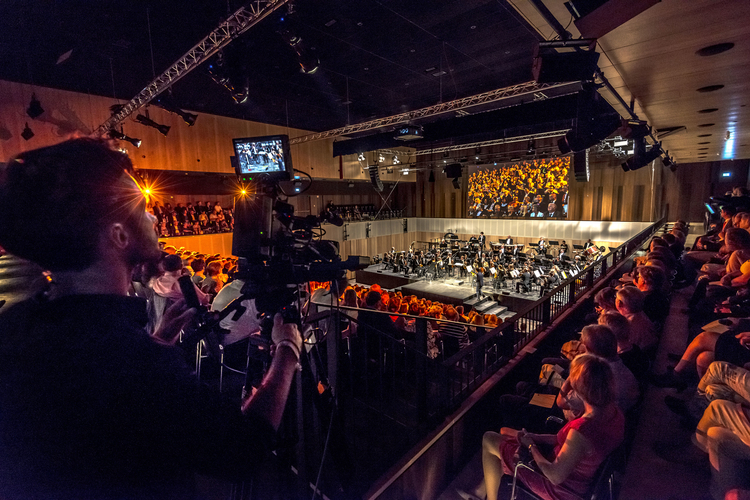 To achieve this, Graner+ Partner collaborated with Grammy award winner John Pellowe (Meyer Sound) to fine-tune the system during final rehearsals with the Mainz State Orchestra. They managed to fulfill the conductor’s special requirements, such as adjusting the balance between various groups of instruments on the stage. ASC worked hand in hand with everyone involved. As the system integrator, they were there at the structural work phase and implemented a highly complex cable infrastructure. ASC’s Frankfurt-based specialists assisted Graner+Partner in coordinating the various trades, providing advice and help for architectural amendments in the building phase. One of ASC’s strengths is supplying custom builds for its clients. This project required specially manufactured loudspeaker mountings and other special solutions so that the complex sound system could be integrated ultra-precisely into the architectural concept. Now that we have been running the system constantly for two months, we are very enthusiastic about it. The way the room acoustics can be adjusted so easily to organizers’ differing demands is especially exciting to us, especially when you think about how complex the technology behind it is. We’re absolutely over the moon about the exceptional quality of sound which we’re able to offer at our facility. 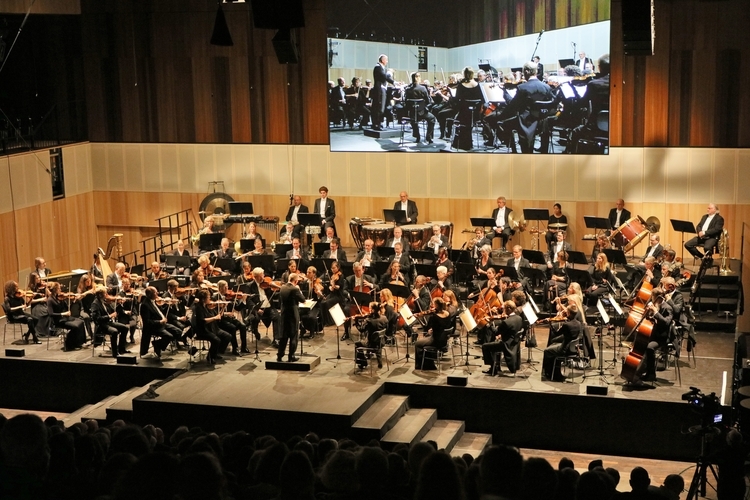 Our collaboration partners and customers include high-ranking cultural institutions such as the Rheingau Music Festival and Mainz State Theater, which use the kING to stage classical concerts, operas, theater productions and readings, and who are thrilled by the acoustic opportunities which kING offers. 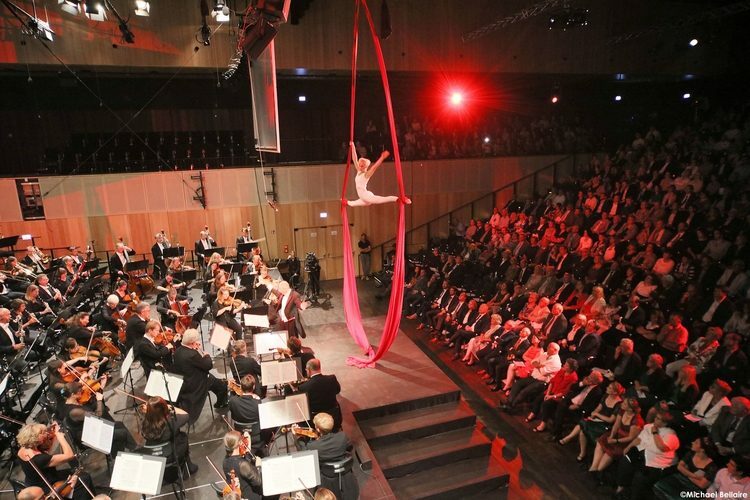 We’re greatly looking forward to hosting lots more rock, pop, musical, show and cabaret events as well as seminars and corporate events such as the BKA Fall Conference and the Rheinland-Pfalz Cities Association Conference, which we will be hosting in the coming months.